Cargo shorts are one of the best hot weather clothing items you can own. They're cool, comfortable and have loads of pockets so you can easily carry your wallet, cell phone, keys, sunglasses and more. 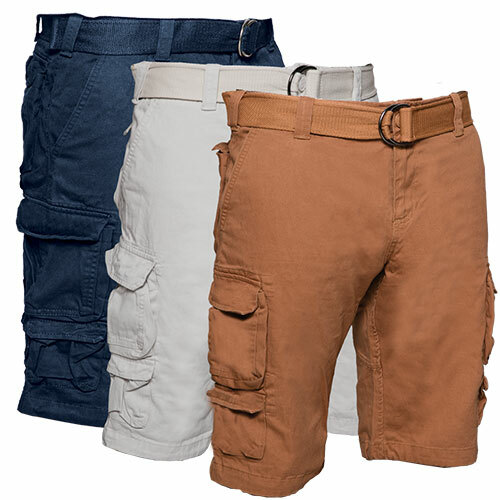 They're painstakingly crafted from 100% cotton and feature an 11.5" inseam, 2 back flap snap pockets, 2 side slash pockets and 2 side cargo flap snap pockets on each side. Matching web belt included. Color: Khaki/oatmeal/navy. Mens size 30.